TRENTON, N.J. -- New Jersey lawmakers are moving ahead with legislation that would make it illegal to operate a drone while drunk. The legislation cleared an Assembly committee on Monday and is up for a vote in the full Senate on Thursday. Both chambers are controlled by Democrats. The National Conference on State Legislatures says at least 38 states are considering drone legislation this year. U.S. airspace is exclusively regulated by the Federal Aviation Administration. 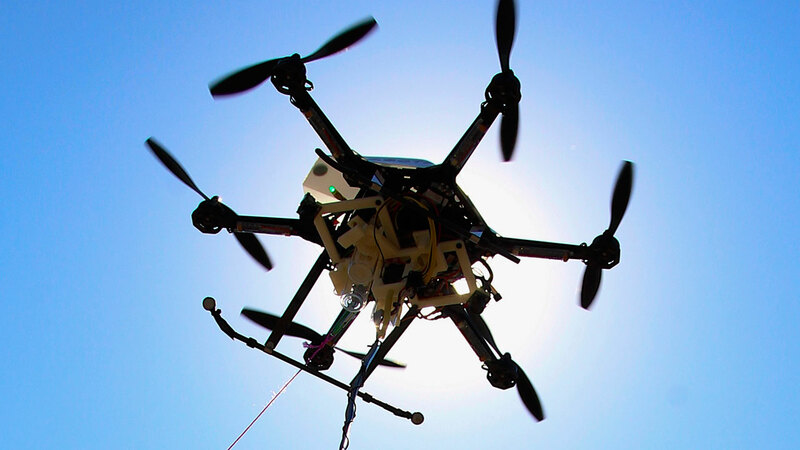 The FAA already has rules in place barring the drunken operation of drones. New Jersey's Department of Environmental Protection issued a rule in 2015 barring drones in state parks, but lawmakers say this legislation would be the first statewide law on drones, if enacted. Lawmakers say the changes are aimed at pre-empting local ordinances that might vary. "Establishing clear guidelines about how they can and cannot be used can help preserve public safety and prevent people from using them as criminal accessories," said Democratic Assemblyman Vincent Mazzeo, who co-sponsored the legislation. The bill specifically would make operating a drone under the influence of alcohol a disorderly persons offense, which carries a sentence of up to six months in prison, a $1,000 fine or both. It also would make using a drone to hunt wildlife and endanger people or property a similar offense. The legislation also bars using drones to endanger safety at correctional facilities a crime as well as interfering with first responders who are engaged in transport. Jonathan Rupprecht, an aviation attorney based in Florida, who also writes on drone law said many states are pursuing their own legislation because of a "lack of enforcement" at the federal level. But, he added, legislating can be difficult because there is not much good data available to base new laws on. Miles Abrams, an executive with Falcon Drones in Bridgewater, New Jersey, said he opposes the legislation because, though it's well-intentioned, it overreaches. Specifically, he said he's unsure how enforcement would work and urged lawmakers to considering narrowing the legislation's scope. "Make laws that make for good behavior, not good headlines," he said. GOP Gov. Chris Christie does not typically weigh in on pending legislation and his office did not immediately respond to a question about the legislation. Democratic Gov.-elect Phil Murphy's office also did not immediately respond.